Speed is all the rage these days. Move fast and break things, iterate fast, fail fast and learn from your mistakes fast and pivot fast so you can do it all over again. We scorn bloated governments and dinosaur bureacracies and praise lean startups and lightweight crowdsourcing. We crow that even the rate of change itself is speeding up, praising internet time and marvelling that the smartphones and social networks we take for granted didn’t exist five or ten years ago. That’s all well and good, but it doesn’t fit me personally. There’s pretty much nothing I’m naturally quick at besides running and maybe eating. Left to my own devices, I don’t work fast, play fast, think fast, or talk fast. I’m notorious for circling back hours or days after a meeting with new ideas. I definitely don’t context switch fast; hell, I’d rather avoid them altogether. I blame some of my sloth, and the proverbial fires under my friends’ asses, on the genetic lottery and personal preference. People have a wide range of natural speeds. As with most things, you can speed yourself up or slow yourself down with practice, but it’s always relative to your baseline. I wouldn’t even recommend diverging from that too much. It might be useful temporarily, but people who push too fast for too long end up burning out. They definitely sacrifice quality along the way. Likewise, if you slow yourself down too much, or you’re constantly blocked from making progress, you’ll eventually lose interest and motivation. So why, do we worship at the altar of speed? Why does fast and broken seem better than slow and working? First, instant gratification is powerful. No one likes to wait, and nowadays we often don’t have to. Technology has streamlined, democratized, and accelerated almost everything. Our business environment and stock markets are designed to reward growth, progress, first- and second-mover advantage, and momentum of all sorts. Those of us who design and build products (and services, creative works, etc.) now largely agree that iteration is the key to success. If you want to end up with something good, your best bet is to take a quick first stab, get it in front of people, make them use it and give you real feedback, incorporate that feedback, and repeat. Many of us are so convinced of this that we think succeeding without iterating is the exception, not the rule. I’m a believer. Success probably does depend more on the number of iterations than anything else. The corollary is that if you want to build something good faster, and you can’t cut down the number of iterations, you cut down the time you spend on each iteration instead. That lands us squarely in circular logic land – to move faster, you have to move faster – but at least it helps explain some of the speed fetish. Even so, the accepted wisdom for startups isn’t enough iterations, it’s move faster. Granted, “enough iterations!” isn’t exactly a killer war cry, but it has the benefit of actually being right. If you keep your speed sustainable, and you take iteration seriously and incorporate real feedback from real users, you’ll probably beat the people running themselves ragged without a compass. On another note, if you’re doing anything creative, research has concluded that stress is your kryptonite. When you’re under stress of any kind, your brain cuts off precious oxygen from the higher level regions responsible for creativity, learning, and lateral thinking, and doubles down on fight or flight responses in your amygdala. This is why long hours of crunch mode usually result in lower productivity over the long term, not higher. The conclusion is clear: if you need to be creative, don’t stress yourself out by moving faster than your baseline. On the other hand, if you naturally run fast, the world may be too slow for you. If you love the adrenaline rush of a tight deadline, or you come alive when you’re firefighting an emergency, the right kind of stress might just be good for you. The key is to know your baseline and be true to it, even when you’re expected not to. My hopes here are modest. I’m not trying to overturn our speed fetish, or to scold people who enjoy moving fast. As with most of my posts, this is primarily introspection. I know my baseline is slow, and I’m exploring the implications by writing about it. I may work at a fast-moving startup right now, but who knows. When I look for my next job, maybe I’ll slow down to a stately, leisurely stroll. Academia, anyone? Or I could just retire and play golf. I’ll keep you posted. Thanks to Steve Garrity and Francis Pedraza, among others, for inspiring this post. With you on this one. I never understood why “move fast and break things” is an aspiration. The justification seems to be “if you’re not breaking things, you’re not moving fast enough”, but that’s absurd. I’d prefer “move fast enough to not break things while still meeting your goals”. Speed for its own sake is meaningless. oh man. i love that g+ auto-hashtagged this post #Heresy. so good! now i have to go see who else is there. Ack! Sure I can hack something together in a day, but I like things working, not breaking all the time. I knew you’d come around to golf :-P If you do go into teaching, I hope you continue to wear shirts that cause Moiré patterns when recorded on video. How poignant. I completely sympathize! 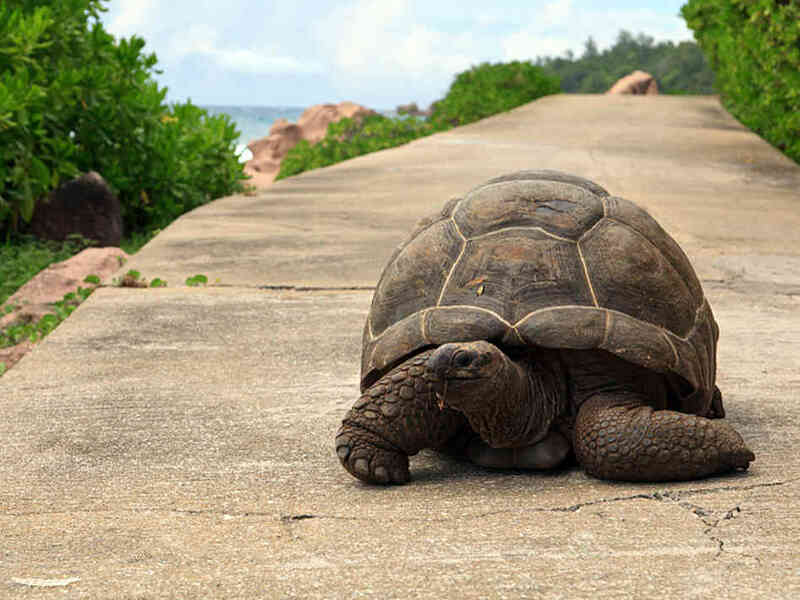 When you are ready to move slower let us know, Cisco is always hiring! 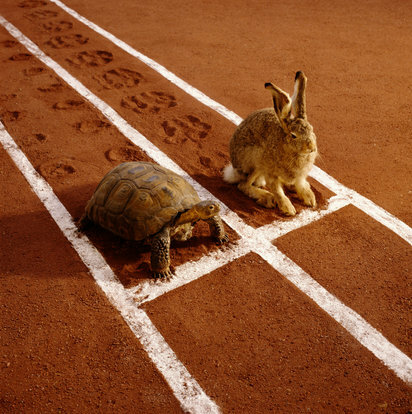 Considering what you’ve already accomplished, I wouldn’t say you are moving slow at all. It looks like you’ve done a career’s worth of work already. I remember when Twitter launched. Some pundits were saying they weren’t moving fast enough. But it seemed to work out of them in the end. entertaining development: at this year’s F8 keynote, Mark Zuckerberg announced that Facebook was adopting a new strategy that’s less Move fast and break things and more Move fast with stability. lol. bring on the memes! Warren posts about the other side of this: how addiction is an “unfair” advantage in entrepreneurship. So true. May be the single biggest reason I’m not an entrepreneur: I just don’t get hungry enough.